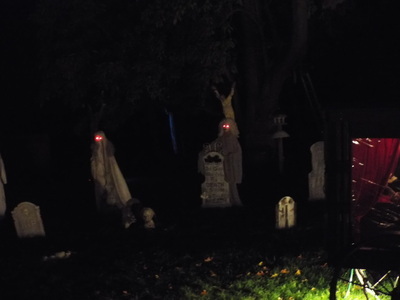 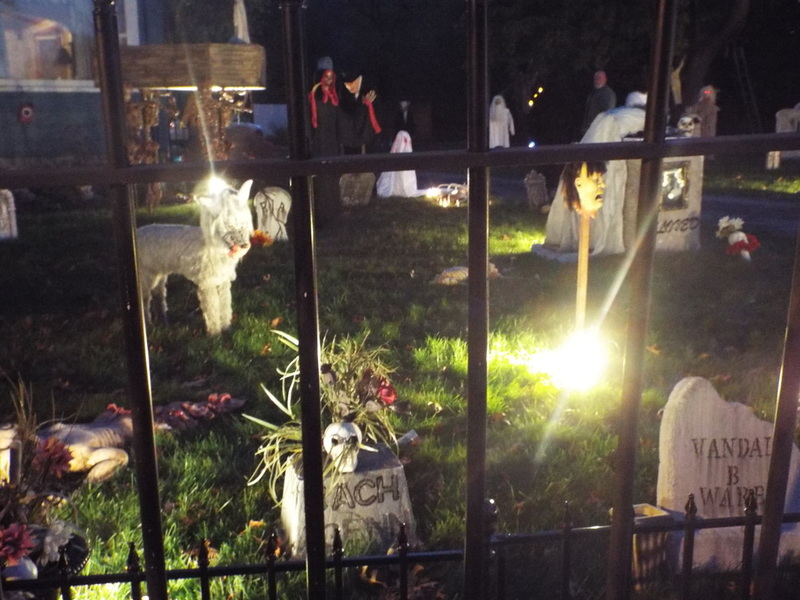 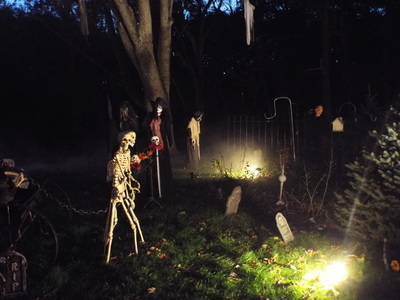 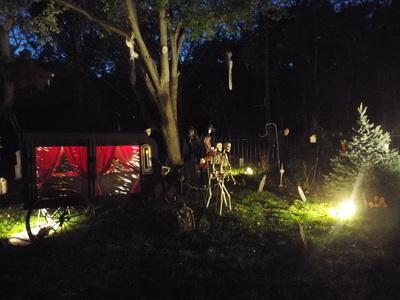 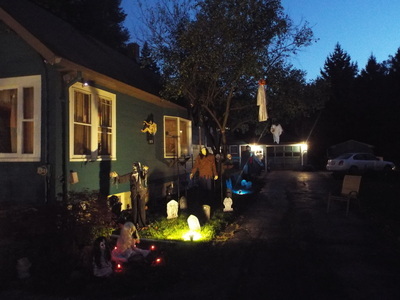 Village Cemetery is a great yard display that is very close to Horror Tourers home base. In fact, it's one we see quite often during the Halloween season as it's on our way home from work. 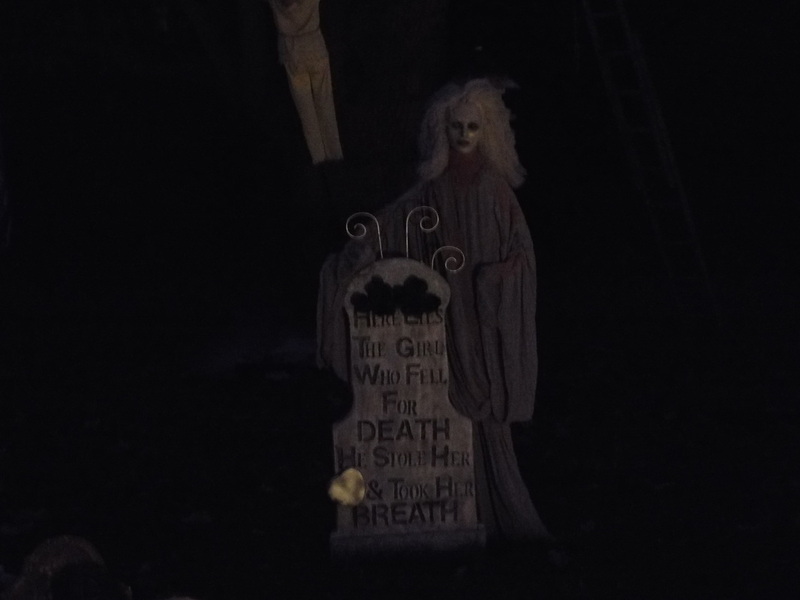 It's off of a main road, and it's quite large, so it can easily be seen from passing cars. 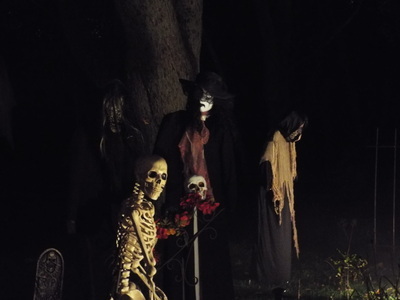 Although it's relatively new, it has grown considerably, and 2013 has so far been the best year yet. As the name implies, the display is laid out like a cemetery, complete with creative tombstones, some of which are fashioned from styrofoam coolers. 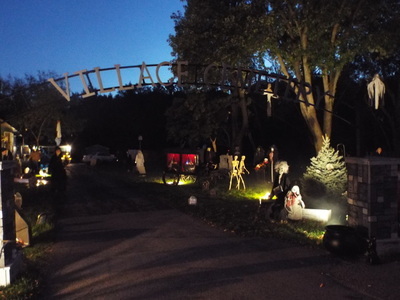 It also features a large "Village Cemetery" arch over the driveway, which makes the setup look eerily realistic. But that's only the beginning of the display. In addition to the tombstones, there are many life size figures scattered throughout, most of which are homemade. 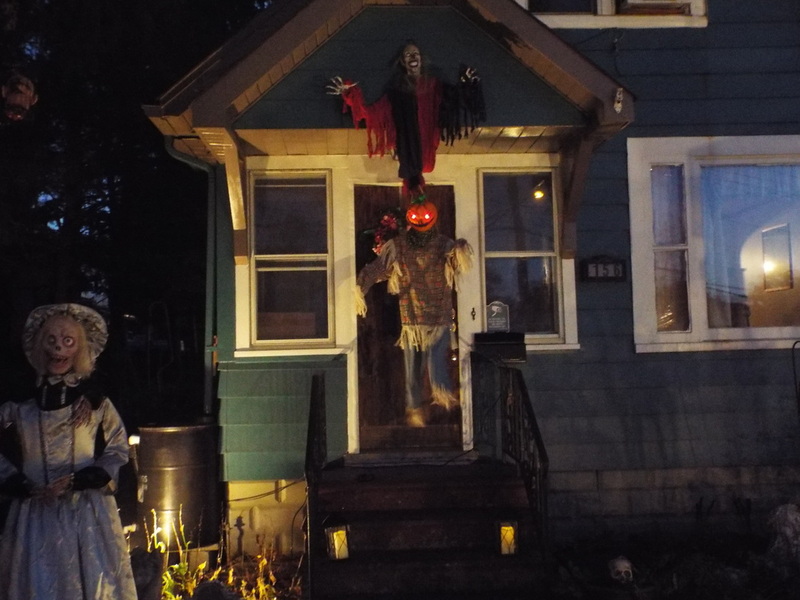 There is a large pumpkin headed creature over the front door, a skeletal bridal couple along the front walk, and a skeleton that looks quite burned lying in a real open coffin. 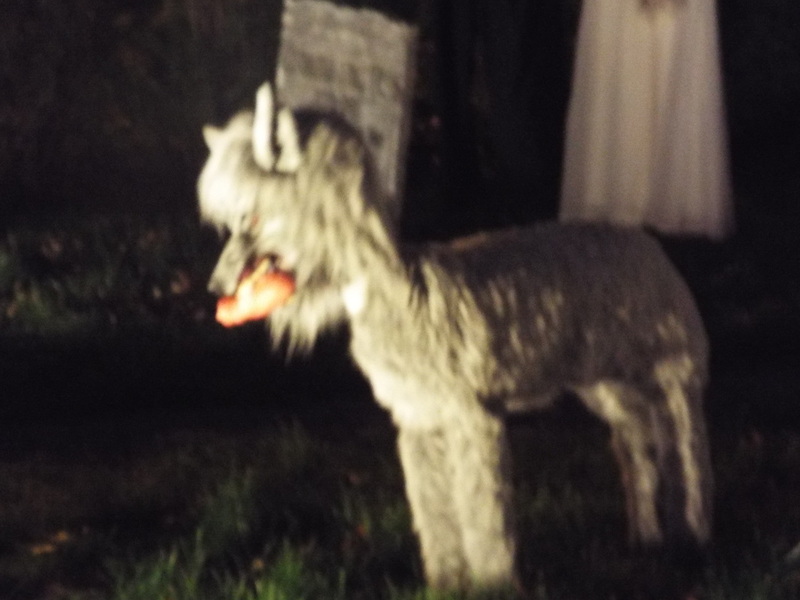 Other whimsical figures include a moving dog/wolf type creature with a bloody body part in its mouth, three creepy female figures with glowing eyes standing amongst the tombstones in the distance, and a torso with a moving head inside a partially exposed coffin that appears to be coming out of the ground. Perhaps the best of the items in the display is a full size antique horse-driven hearse, complete with moving corpse inside. Instead of horses, though, it's being drawn by two skeletons chained to the front. It's very creative, and completely homemade. 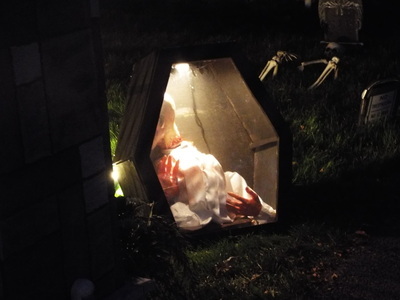 It's just one of many creative and interesting figures that form part of the entire display. 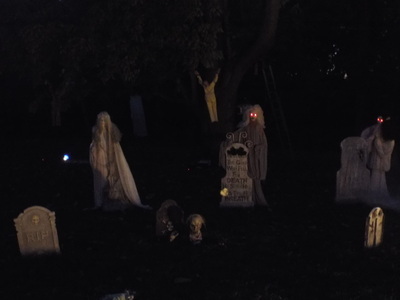 Additionally, many of the props are highlighted by creepy lighting, which casts an eerie glow over the proceedings. 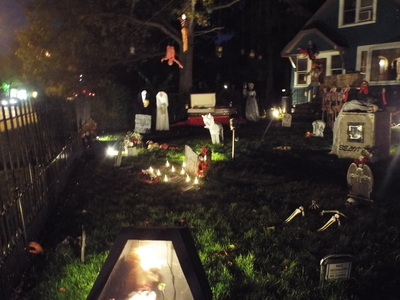 Overall, there is a lot to see here, and one can easily miss something if moving too quickly. There are figures along the side of the house, far back on the right portion of the yard, in the trees, by the front arch, and along the driveway. 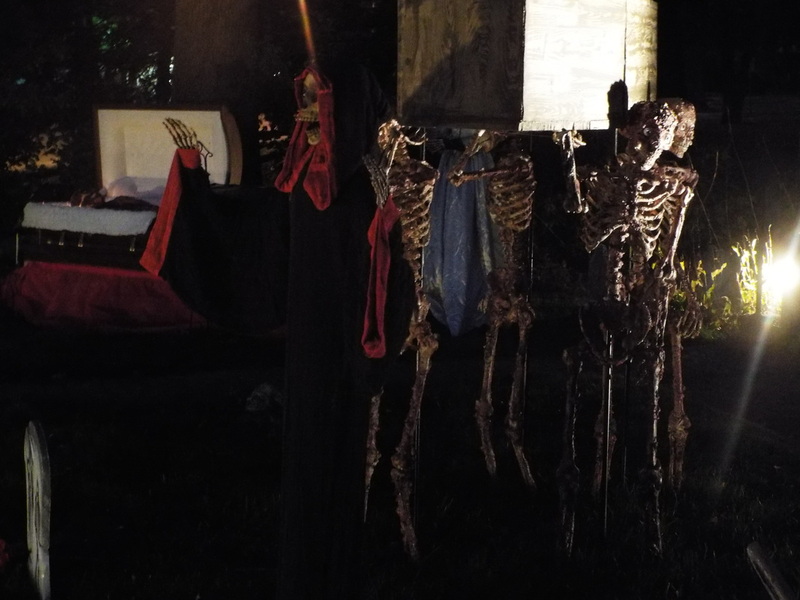 The setup makes for an interesting site, especially when passing by and not expecting it! 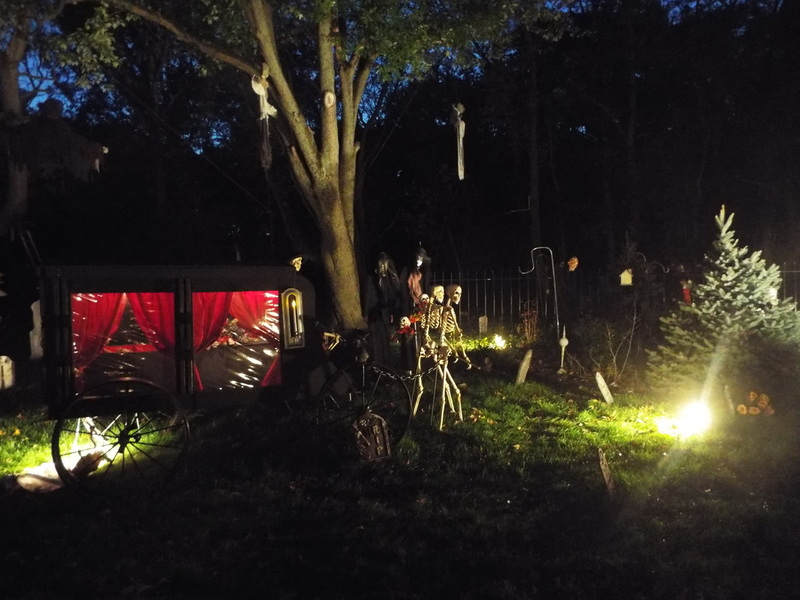 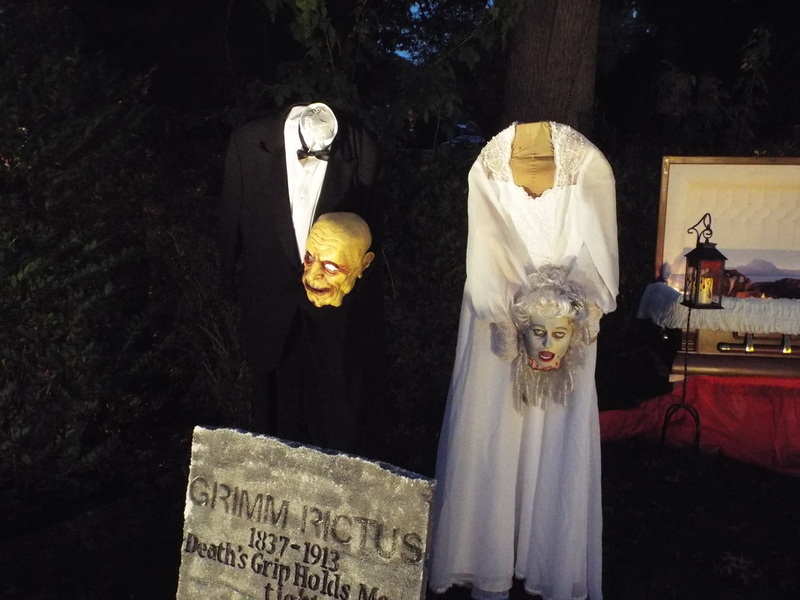 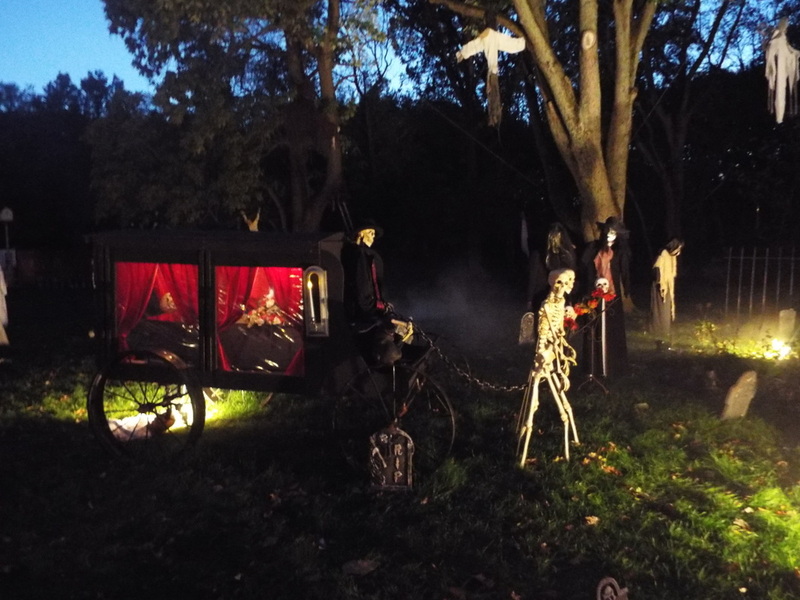 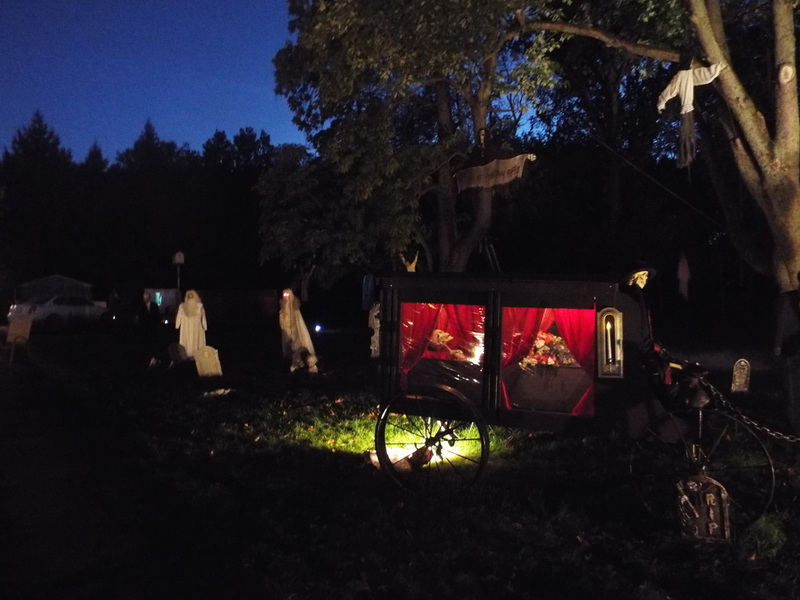 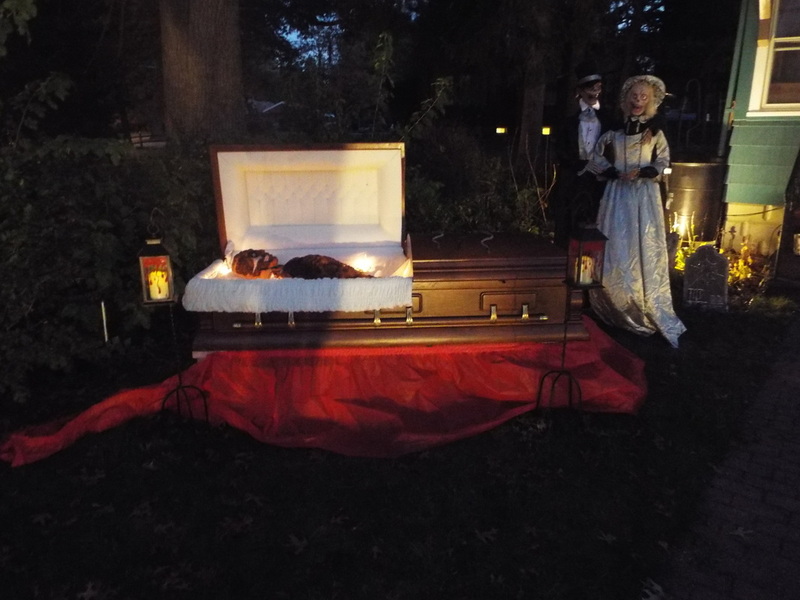 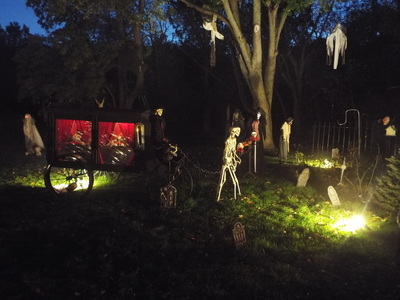 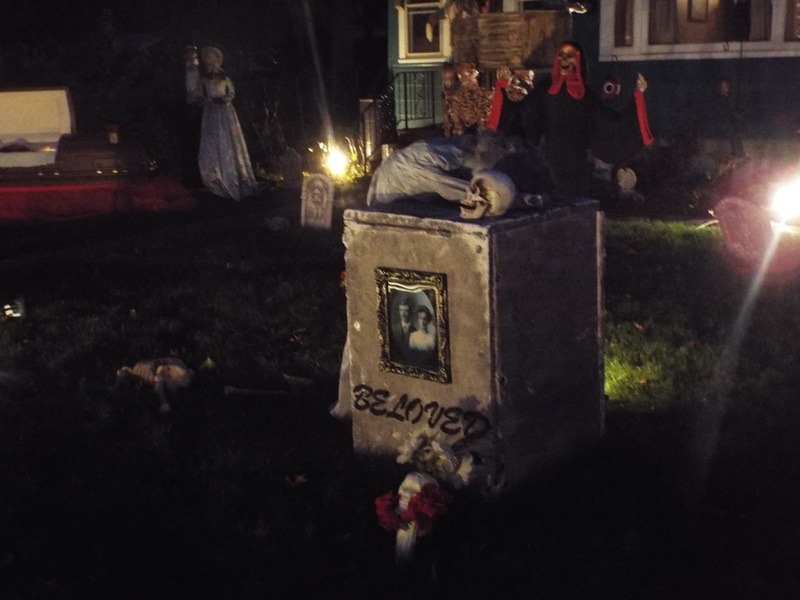 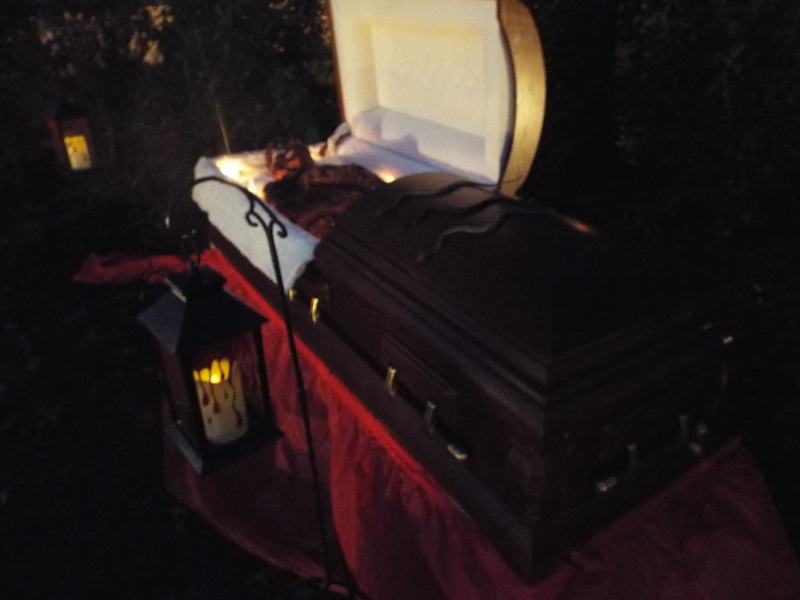 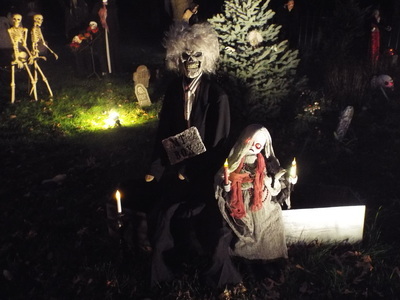 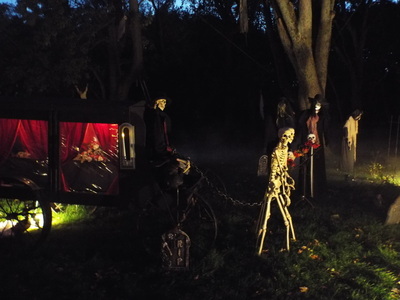 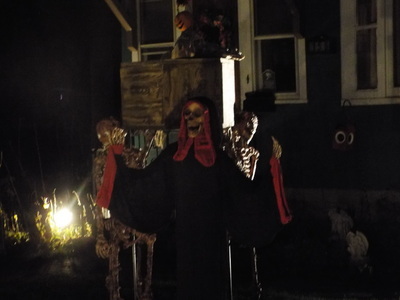 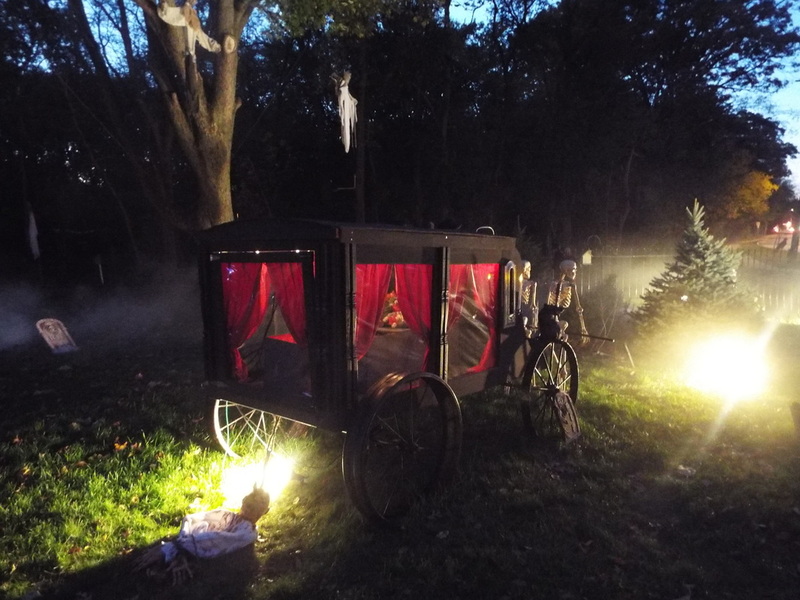 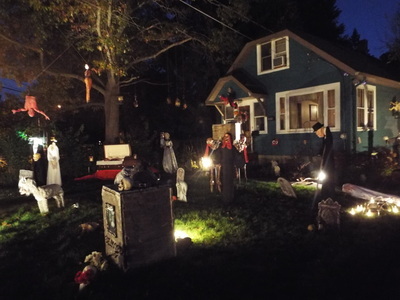 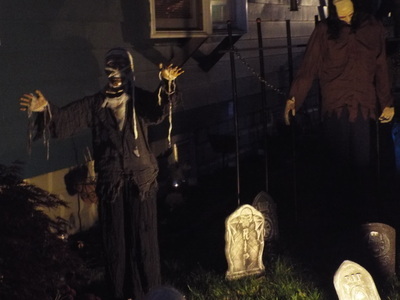 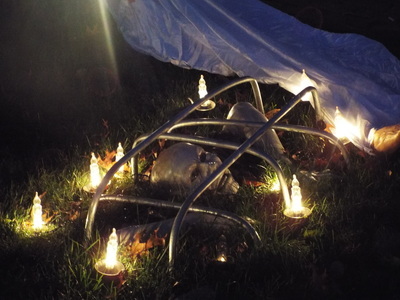 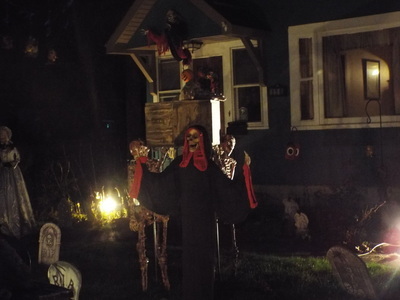 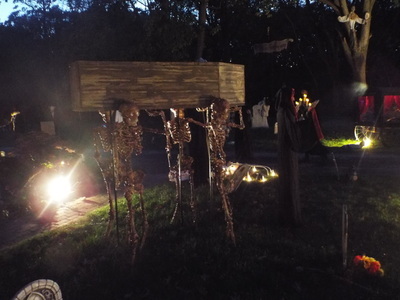 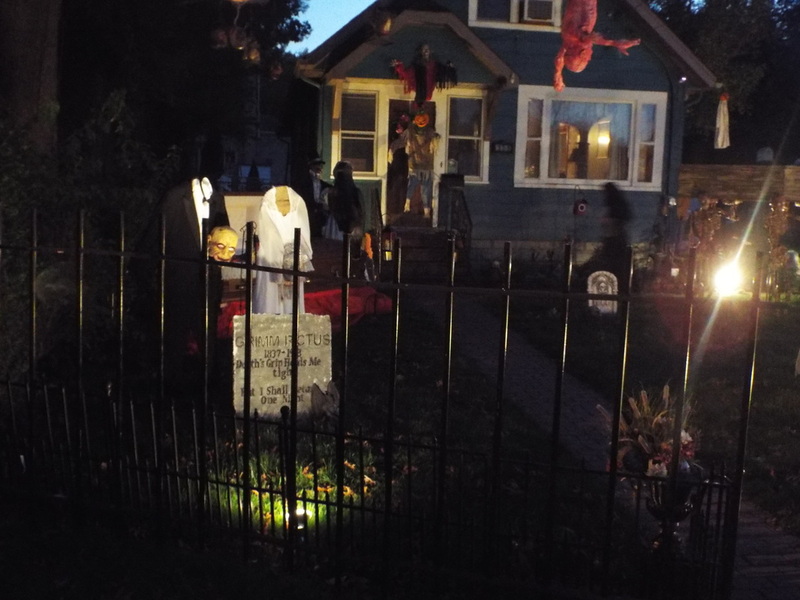 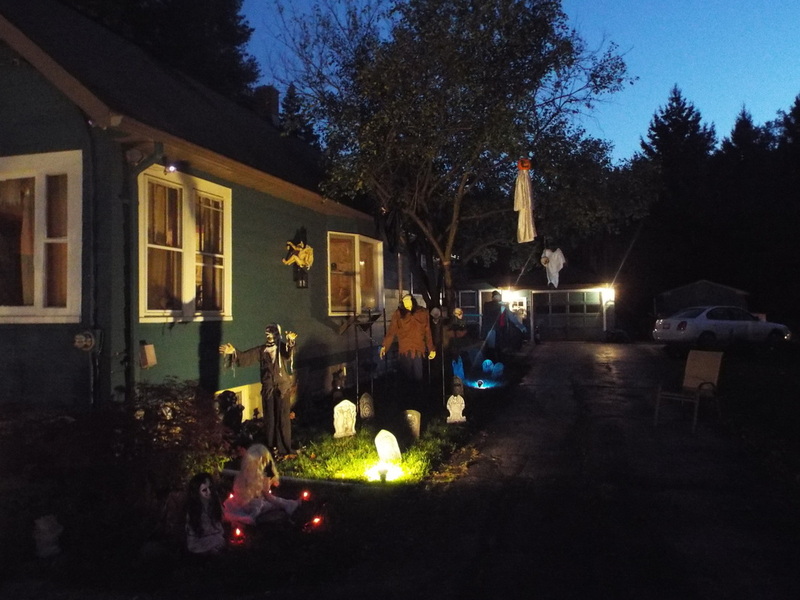 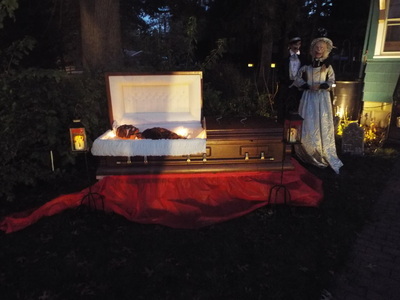 It's a testament to the great hard work that home haunters put into their displays, and is definitely one of our favorite yard displays in the Chicago Southland. We certainly look forward to what is in store for 2014!